For students. Only average credit score required. If you are a young student and haven’t built a good credit score yet, this credit card can be an excellent choice for you. Generally speaking, having an average or fair credit score (mid 500s or higher) will be enough. If you on the other hand have messed up your credit rating and fallen down to a bad credit score (below mid 500s) you might find it difficult to be approved for this one. Since the Journey Student Rewards credit card is designed for college students, there is not full-time income requirement to be approved for this credit card. Also, you don’t need an established credit history. As a matter of fact, many students use the Journey Student Rewards credit card to build a credit history while in college. With the Journey Student Rewards credit card, you start out with a small credit line, but as soon has you have made your first monthly payments (on time!) you can apply for a higher credit limit if you want to. The Journey Student Rewards credit card is issued by Capital One Financial Corporation. Journey Student Rewards credit card has no annual fee – great news for students on a typical student budget. The standard cash back is 1% on all purchases, but of you pay on time you will increase this to 1.25% for that month. Either way, there is no upper limit for cash back. Cash back rewards will not expire as long as the account remains open. As mentioned above, you start out with a low credit line and can ask to have it increased after just 5 months – provided that you pay all the credit cards bills on time. Many students wants to gain some foreign experience during their college years and many college programs even include weeks or entire semesters of studies abroad. With Journey Student Rewards credit card, you pay no foreign transaction fees on purchases. Many students use the Journey Student Rewards credit card to build their credit score. To help them along the way, Capital One give all Journey Student Reward holders FREE access to their own credit score and the Capital One Credit Tracker. With the tracker, you can easily predict how different choices will impact your credit score. 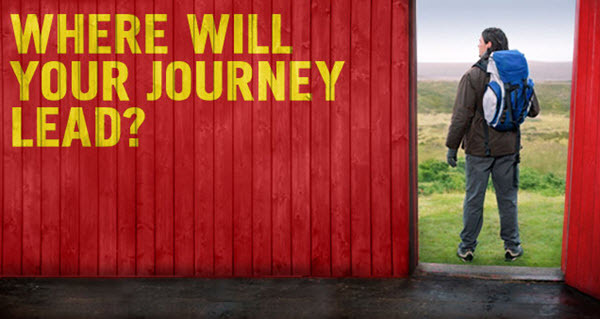 The Journey Student Rewards credit card is only available for students. Compared to VISA and MasterCard, Journey (and Capital One) is less well known outside the United States and in some countries you may have difficulties finding outlets that accept your card. This information was obtained in 2016 and concerns the U.S. market. It is always a good idea to visit the Capital One site to make sure you get the latest updates before you make any decision. If your application for a Journey Student Rewards credit card is approved, you will receive a credit line of at least $300. The annual percentage rate (APR) for purchases, transfers and cash advances will vary with the market based on Prime Rate (as published in The Wall Street Journal). The APR is Prime Rate + 16.47%. APR will be updated quarterly and take effect on he first day of billing periods for January, April, July and October. Interest is not charged on new purchases if you pay the bill in full, and on time. For cash advances on the other hand, interest is charged from the transaction date. The cash advance transaction fee is either $10 or 3% of the amount, whichever is greater. The late payment fee is up to $35. 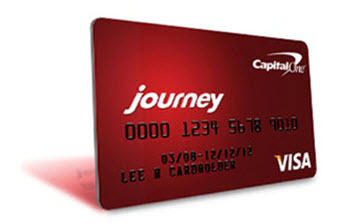 The Journey Student Rewards credit card is issued by Capital One Financial Corporation. This is a public company based in the United States and traded as COF on the New York Stock Exchange. The company is considered large and stable enough to be included in the stock index S&P 500 Component. Capital One Financial Corporation specializes in banking, credit and savings, including credit cards, home mortgages and auto loans. In terms of total assets and deposits, it is the eight largest bank holding company in the USA. Capital One Financial Corporation has roughly 1,000 branches and 2,000 ATMs in the country. Capital One Financial Corporation was formed in 1995, when Signet Financial Corp spun off its credit card division. Capital One became one of the driving forces behind the increased mass marketing of credit cards in the 1990s and it is currently one of the largest customers of the United States Postal Service.